Skittles candy proudly displays "gluten-free" right on the package! They are also gelatin-free for anyone who is vegetarian or vegan or if you do not eat gelatin for religious reasons. 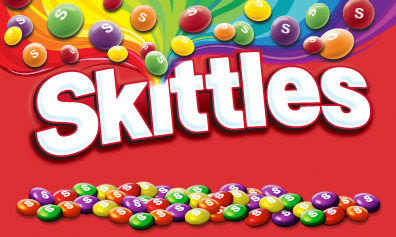 Although skittles may taste good, this little bag of goodies may be labelled as gluten-free BUT it contains a lot of not so good stuff like Sugar, Artificial Colouring, Preservatives (one called BHT), Hydrogenated Soybean Oil and corn syrup. All of these have negative effects on health. I would stay away from these and definitely not recommended for your children. I would recommend reading all labels even of those that are gluten-free as they may have other things in it that are not good.